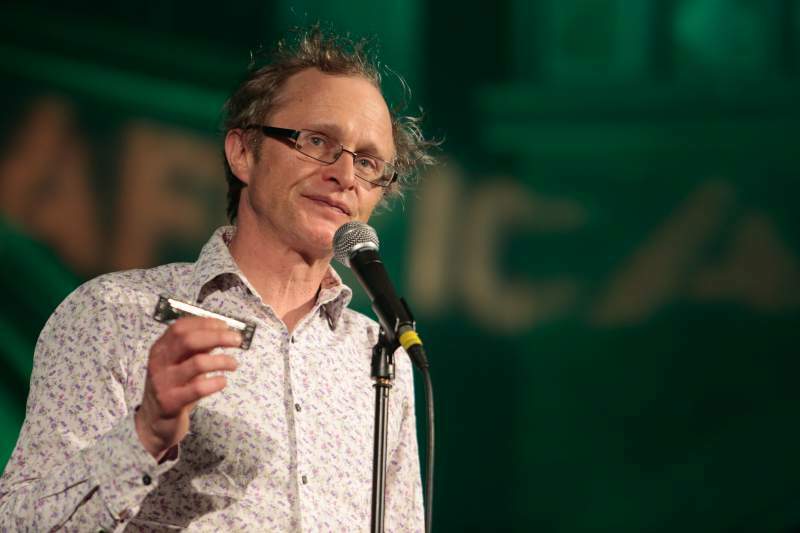 Simon Munnery’s wonderfully funny and obtuse style of comedy has been consistently entertaining and thought-provoking for more than three decades. From his appearances on TV as Alan Parker Urban Warrior and in Attention Scum! to drawing on the work of Soren Kierkegaard, Munnery has been a constant counterblast to complacency while never seeming arch or though material is forced. He combines effortless, Python-esque silliness with incredible wordplay and brevity, in a way that is timeless, thoughtful and really, really, funny. The Wreath is unusual for Munnery in that it’s the first story show I’ve seen him perform in quite some time – an altogether much more straightforward approach than recent ventures. The strength of The Wreath comes from the pathos of Munnery recounting his time working as a cleaner in a chicken factory – a framework in which for Munnery, the sad, the anodyne and the sublime can sit together beautifully. It’s also one of his most self-contained shows in a very long time; Munnery often draws on older material to substantiate shows that sometimes feels a little out of context (though when your jokes are this good, why wouldn’t you). The Wreath is a timely piece, very concerned with mortality, capitalism and uncertainty. It’s also Munnery’s best show in recent memory, and it’s an absolute triumph; it marks him out as something as a misnomer, that this hour is unusual, accessible, emotional, and something coming from a genuinely original place. Truly something to feed the head, the heart, and the gut.